Usually when the subject of "unequal yoking" is broached, the implicit assumption is that the discussion is centered on the issue of marriage. But I want to consider it in something of a broader context. I contend that much too frequently, the church makes peace with alien and hostile worldviews, allowing the true and undiluted faith to be polluted and ultimately weakened. For example, the importation of Hellenistic and Aristotelian thought into Christianity via the vehicle of Scholasticism had a harmful impact on the faith and ultimately led to antinomianism, mysticism, asceticism, etc. Today, various ideological enemies do battle with Christianity. Here at Dow Blog, I have been particularly concerned about the heresies of Egalitarianism and Statism. But the church has also been infected with the virus of contemporary popular culture and the poisonous sophistries of humanistic psychology. According to Scripture, the church is the body of Christ (I Cor. 12) and performs particular functions. Luke provides details in Acts 2:41-42: "Those who accepted his message were baptized, and about three thousand were added to their number that day. They devoted themselves to the apostles' teaching and to the fellowship, to the breaking of bread and to prayer." We see here that evangelism, instruction, and participation in prayer and fellowship are central tasks of the church. Though evangelism is biblically mandated (Matt. 28:18-20), we don't see that as a central function of the gathered church. In other words, when believers come together, they do so for the purpose of worshipping and glorifying God, encouraging and spurring their brethren, and being taught the undiluted Word of God. It is as the church disperses into the world that evangelism properly takes place. In fact, the Great Commission can be translated as a command to make disciples as you go. Yet, the contemporary church in its desire to build a body acceptable to Saddleback Sam and unchurched Harry and Mary has turned worship into an entertainment spectacle and the proclamation of the Gospel into little more than the ravings of the high priests of modern psychobabble. Part of the problem is television. Neil Postman, no Evangelical Christian to be sure, helpfully explained the cultural impact of television on various facets of contemporary life, including Christianity, in his brilliant book “Amusing Ourselves to Death.” "Christianity is a demanding and serious religion," says Postman. "When it is delivered as easy and amusing, it is another kind of religion altogether… There is no doubt, in other words, that religion can be made entertaining. The question is, by doing so, do we destroy it." Jewish media commentator Neal Gabler argues similarly to Postman: "Evangelical Protestantism, which had begun as a kind of spiritual entertainment in the nineteenth century, only refined its techniques in the twentieth, especially after the advent of television. Televangelists like Oral Roberts and Jimmy Swaggart recast the old revival meeting as a television variety show, and Pat Robertson’s 700 Club was modeled after the Tonight Show, only the guests on this talk show weren’t pitching a new movie or album; they were pitching salvation." Watch much of what passes for "Christian Television" these days and you will see vividly on display what Postman and Gabler are talking about. Many contemporary pastors and churches have more in common with Dr. Phil and the Church of Oprah than the Apostle Paul and the Church of Jesus Christ. In the hands of such men, Christianity is reduced to "living your best life now" or a Peale-esque power of positive thinking. The Gospel calls believers to suffering and self-denial, not autonomous self-fulfillment. Even the call to exercise dominion is ultimately a call to servant-leadership where authority is derived from God. The message of the Bible is about God's redemptive work in creation, not about life's purpose. The most essential elements of Christianity are the cross and the resurrection, an event that goes unmentioned in a book outlining God's purpose for man by America’s best-known Evangelical pastor. The mutilated, seeker-sensitive gospel sees individuals as seekers coming to Christ in order to find purpose in life rather than to receive forgiveness from sin and the righteousness of God. There is little here of sin, grace, faith and repentance or the person of Christ and his atoning death and victory in resurrection. The need of the hour is to reform our churches, to recover the simple message of the Gospel and place it at the center of our preaching. The church must be about the business of preaching the glory of God's redemptive program and the wonder of God’s grace coupled with the necessity of repentance. Let’s leave the psychobabble behind and end our captivity to the things of this world. AMEN. The true meat of the Word is so watered down in most churches that Paul himself wouldn't recognize it. 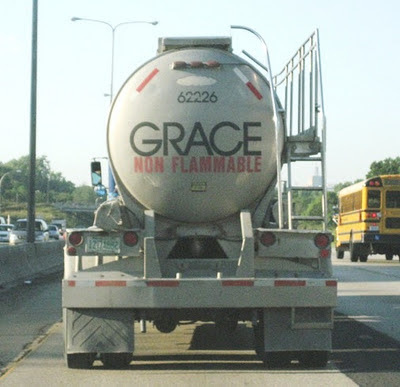 A fellow asked me recently why we taught the doctrines of grace in our bible study, seeing no value in it at all. I simply asked why he didn't teach them. When people don't study for themseleves, but rather take in every word from the pulpit in blind faith, they set themselves up for a fall. Such is the sad state of modern christendom.